Morgan came into our home and transformed our kid’s rooms into the most incredible, magical spaces. Words cannot describe how in love we are with her work. The entire process was so easy. After a brief consultation, she was able to bring our visions to life. A true professional, Morgan was respectful of our space, welcomed our family to partake in conversation during her painting and most of all made it fun! If only we could have Morgan paint every room in our house! If you are thinking of adding a special artistic touch to your home- please don’t hesitate to contact Morgan. 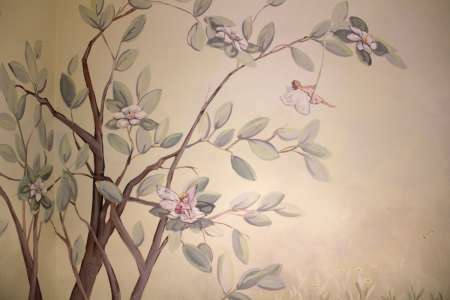 View detailed photos of the vintage fairy mural and other kids murals Morgan painted.